Raize The Bar has launched an exciting new apple cider craft beer that resembles red wine. Cider is a fermented apple juice. This bar has crafted a medium dry cider with residual sugar up to two percent. The appearance of the beer is rustic with visible carbonation. What’s remarkable about it is that the cider is full-bodied, somewhat similar to light red wine, and much lesser if you compare it with any beer. The flavour has a bitter sharp taste with good notes of apple. It’s delicious and leaves a slightly tannic aftertaste. 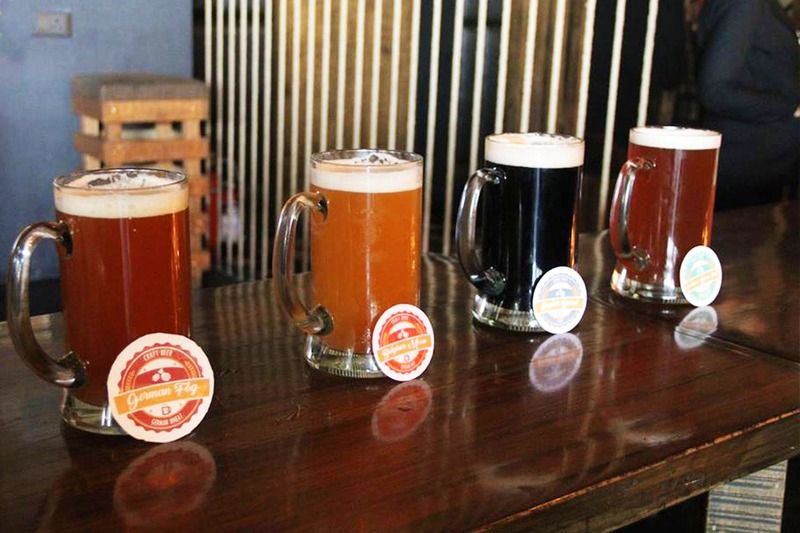 Raise The Bar also offers four more freshly-brewed flavors with something for every beer lover’s taste buds. The flavours originate from Belgium, Germany, England and America. Each option has a distinct taste and different mouth feel. You are allowed to taste all before buying which is a great thing. They also suggest the kind of food that tastes appetising with each, and these are always bang on. Pocket Pinch: You can expect to find craft beer at INR 180 for 250 ml and it can go up to INR 340 for 500 ml. If you go by bottled ones, prices start at around INR 300 for a pint. The interiors are pretty cool with a woody feel. The place has a fun, lively kinda vibe with great music. They also have regular fun events, live sports screening that are a good break from most other bars in the city. The food is great with diverse menu options, something you don’t find at every pub. They also have parking space that is paid, but freely available which I feel is a big big plus! You can totally head on here to unwind and let loose on a day after work on weekends.